Located on Surajpur-Kasna Road in Greater Noida, Jaypee Greens Golf & Spa Resort is one of the popular Golf Resorts in Delhi/NCR region. 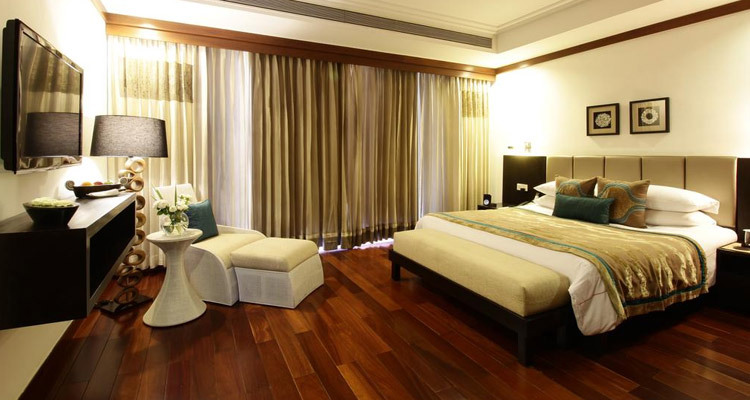 This 5 star resort has 170 rooms segregated as Deluxe Rooms, Deluxe Suite, Executive Suite and Premium Suite. These king size rooms feature an array of modern amenities such as well-stocked mini bar, iPod docking station, IP touch screen phones, work desk and Wi-Fi internet. 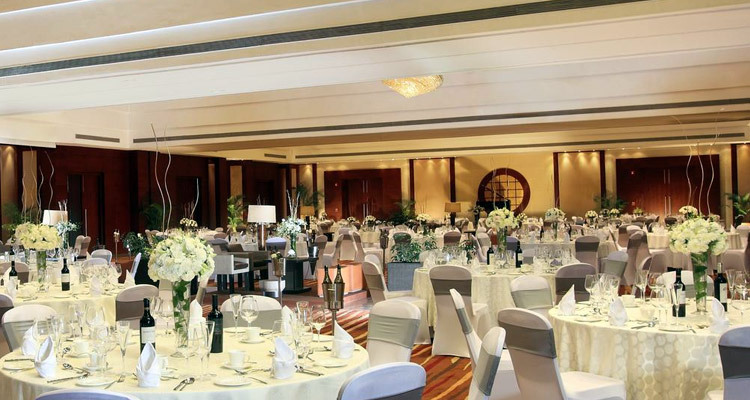 The hotel has 2 banquet halls and 3 business centers to accommodate your business endeavors. The 452 acres property has a Six Senses Spa and an 18-hole Golf Course designed by Graham Cooke & Associates. The golf course is spread over 45 acres of verdant land. Besides 18-hole Golf Course, there is a 9-hole golf course built on 14 acres. 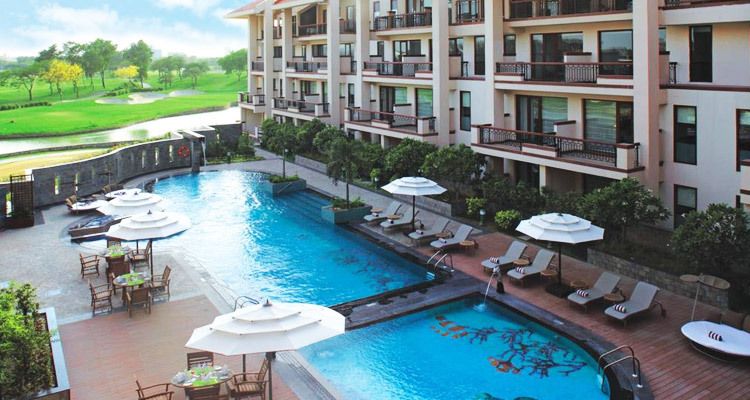 Positioned at the edge of a serene and calm lake, Jaypee Greens Golf Resort offers lavish and beautiful cottages. The cottages provide an outstanding and spectacular view of the Golf Resort. All the cottages provide their guests with the best and the highest standards of every imaginable luxury for a grand and comfortable living. Jaypee Greens Golf Resort, Noida provides its guests with excellent and luxurious rooms with an attached bathroom in each room. The resort also provides hot and cold water whenever needed. The view from the rooms is excellent. The resort provides 19 Luxury cottages to its customers which are extremely comfortable and appointed with a host of amenities. Jaypee Greens Golf Resort in Noida India provides excellent food to its guests. There is an onsite fusion restaurant named “Stir Crazy”. This restaurant provides Italian dishes and Oriental delicacies. The resort has an open air barbecue in the name of Samba's Grill. Another eatery named Golden Crust offers Swiss Cakes, French pastries and various other tasty food items. An open air cafe, Happy Cloud, provides the guests with some of the best and choicest of beverages. The resort provides conference halls for small and big meetings and conferences. There are different halls that can accommodate between 10 to about 1000 people. 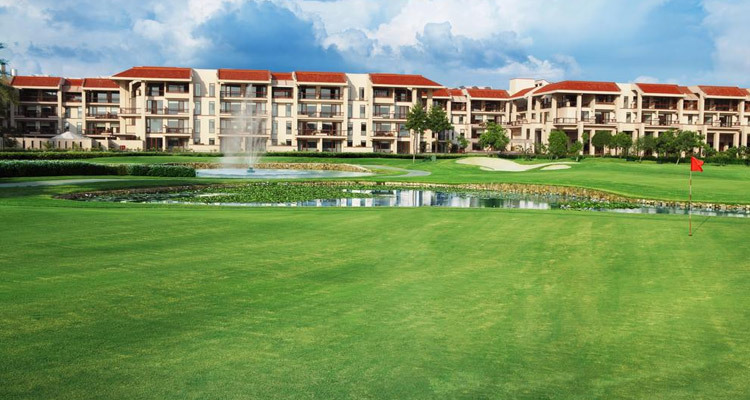 The recreational facilities provided by Jaypee Greens Golf Resort, Noida include a Health Spa and a Golf Academy. 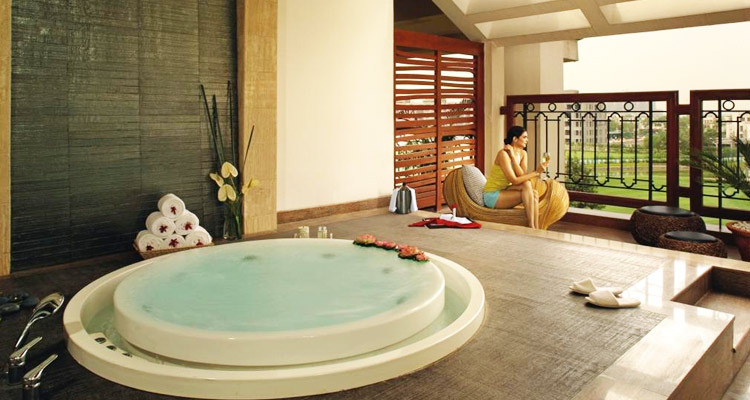 The extra facilities provides by the resort include a Fitness Center, Swimming Pool and Doctor on call. The beautiful and interesting city of Noida is an industrial township. Noida is free from pollution and is devoid of traffic jams. Noida is a mini city that was developed by the New Okhla Industrial Development Authority (NOIDA) in the year 1976. Today Noida has earned a very good name by building industrial, commercial, institutional as well as residential infrastructure of international standards.